The Rosamond Skypark is a privately-owned and operated residential skypark located in Southern California's Antelope Valley (AKA "Aerospace Valley"). Our FAA designator is L00 (Lima-Zero-Zero) and our airport is open for public use. This website is operated by the Rosamond Skypark Association as a service to our owner/members. We also provide various items of interest to pilots and the general public. Jan and her husband were among the original group of buyers at the Skypark. Her death from cancer at the age of 61 after an illness of only a few months was a shock and loss to us all. 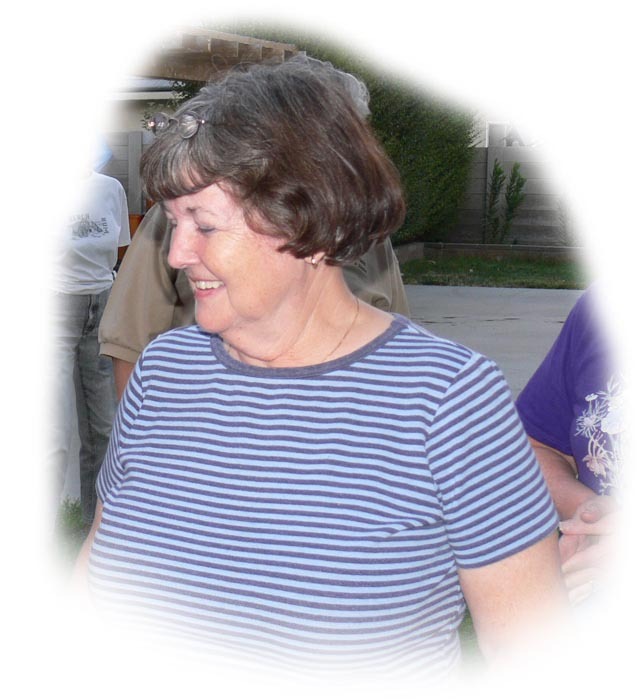 Janet Louise Gilman, 61, of Rosamond, passed away February 21, 2007, after a courageous battle with lung cancer. Janet was surrounded by loving family when she left us. Janet graduated from Three Rivers Elementary School, Woodlake High School, College of the Sequoias, Golden Gate University and Cal State Bakersfield where she earned a Master's Degree in Business Administration. She was employed as Site Manager and Project Analyst for GRID, a contractor for NASA at Edwards Air Force Base. She is survived by her husband Leslie Monforton, a son Doug Killebrew of Palmdale, sister Mary Margaret Andrade, and brother Byron Miksch Jr., of Three Rivers. Janet was preceded in death by her parents, Byron J. Miksch Sr. and Laura Belle Miksch also of Three Rivers, and her first husband, Jim Killebrew. A celebration of Janet's life will be held at a later date. The family requests in lieu of flowers, a donation to the American Cancer Society to be used for lung cancer research.